Homeschooling a child with special needs doesn’t have to be as scary and intimidating as it sounds! With just a few simple tricks you will be able to homeschool your child with special needs without all the headache! Having a homeschool schedule also helps to keep from stress and frustrating deflecting onto children, which can easily be done. When a child senses your frustration, he can easily become frustrated as well. One of the things I struggled with most when I started homeschooling my autistic son was coming up with a schedule that both of us could manage; one that worked for both of us. Thankfully, I now know how to create a special needs homeschool schedule that my son and I both thrive with! A schedule that motivates me to be prepared to teach my son and encourages him to learn all that he can. One that ensures that our frustrations stay at bay. 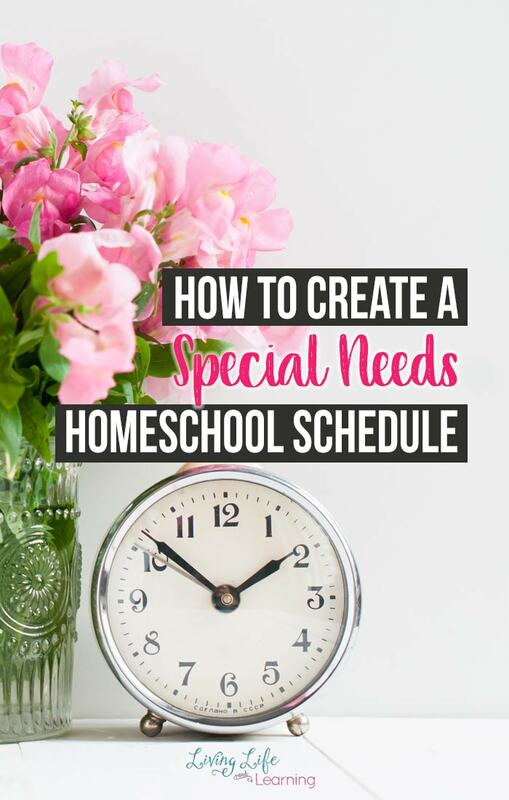 First and foremost, I want to say that creating a special needs homeschool schedule requires a lot of flexibility and patience. You and your child will figure it out, but it’s going to take trial and error, and a lot of give and take on both sides. Aim for a flexible routine rather than a strict time schedule, and you’ll have a much easier time! 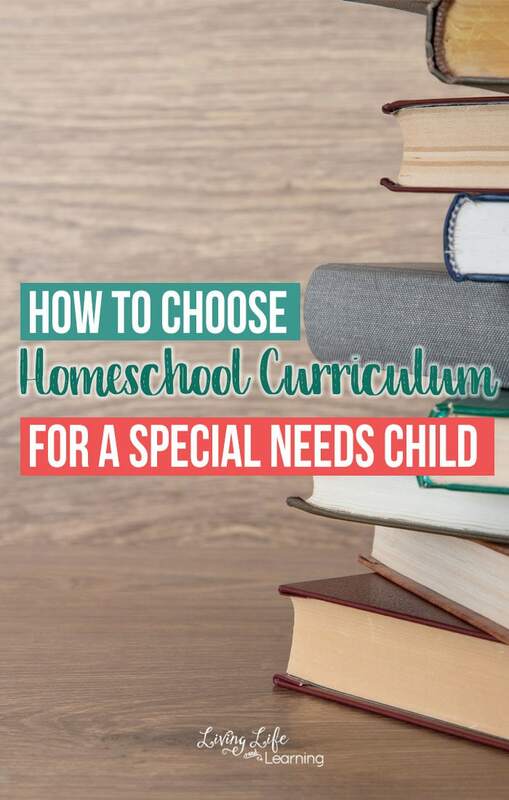 So your first step to creating a special needs homeschool schedule is going to be realistically evaluating your curriculum. Take a hard look at each of the curriculum choices that you’ve made for your major subjects, and determine how much time each of them will take each day. Will you do this subject every day? Will you complete one lesson per day? Per week? How much time will you devote to this subject each day? 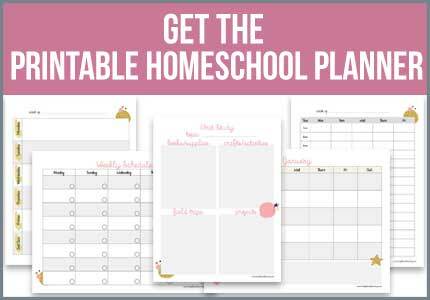 Once you know how much time each subject should take each day, you can start figuring out your special needs homeschool schedule. Throughout the whole process to create a special needs homeschool schedule, keep your child’s individual abilities in mind. If your child struggles to hold a pencil, it’s unrealistic to expect them to spend an hour practicing handwriting with copywork. Similarly, you are going to know your child best and know if it’s going to be helpful to take a break between every subject or if taking a break is going to derail your entire day. Homeschooling a child with special needs is a delicate balance, and knowing your own child is a huge part of what will make you successful! My final tip and one of my favorites is to alternate desired activities with hated activities. My son absolutely hates writing because of his fine motor delays, but he loves tech time. So we start with our handwriting practice, and immediately when he finishes he gets to work on his tablet using his math app. We alternate back and forth like this through our day, and it’s been the simplest way to keep both of us content with our special needs homeschool schedule! If your child doesn’t have a subject they love, add in some other desired activities to help motivate them through the tough subjects. Maybe after a math lesson, they get a snack. Or after they practice spelling they get to play with a sensory bin. Whatever your kiddo loves to do? Put it in your special needs homeschool schedule right after something they hate to do. It will help keep you and your kiddo motivated throughout the school day. You’ll both have a way more pleasant school day with these tips for creating your perfect special needs homeschool schedule! 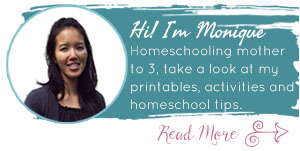 What are your top tips for scheduling your special needs homeschool? Kaylene is an autistic, homeschooling, work at home mom of 5 kiddos. She learned that she was autistic after her second son, who was diagnosed around his third birthday. She blogs at Autistic Mama, you can find her on Facebook, Pinterest or Instagram.